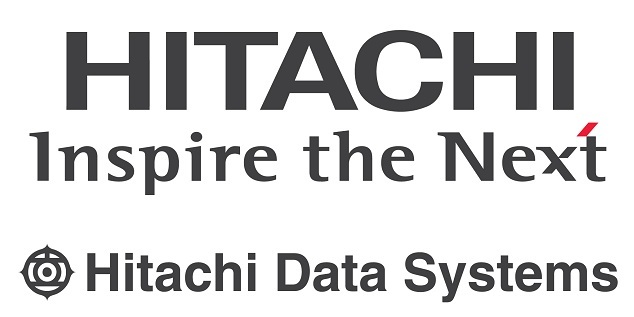 Hitachi Data Systems (HDS), a wholly owned subsidiary of Hitachi, Ltd. (TSE: 6501), today launched a first-of-its-kind open healthcare cloud platform for analytics, Hitachi Cloud Services Connection – Healthcare, (HCSC – Healthcare) solution in Asia Pacific, delivering another milestone in the acceleration of its global Social Innovation initiative. Introduced at the China International Medical Equipment Fair on May 15-18 in Shanghai, HCSC – Healthcare is an extension of the industry-specific Social Innovation solutions Hitachi Data Systems announced at its Connect 2015 conference in Las Vegas last month, and takes advantage of the power of big data and cloud computing technologies to deliver tangible benefits to individuals, healthcare organizations and societies. Although the pace of medical innovation has enabled the healthcare industry to overcome many issues, the sheer scale of data being generated by research and increasingly intelligent medical devices is creating new challenges and demands for modern healthcare providers. HCSC – Healthcare is an open, nondisruptive and secure cloud solution that can integrate health applications, data sources and locations. It is compatible with all types of data and content generated by virtually every piece of medical equipment, enabling healthcare professionals to extract knowledge and address issues with the aim of improving the quality of patient care and efficiency of services and to better manage spiraling costs. HCSC – Healthcare also delivers fast and exceptional-quality 2D and 3D images using the latest GPU cloud computing technology and image-streaming features on Hitachi Compute Blade platform that protect patient privacy by eliminating file downloads on end-user devices. “With HCSC – Healthcare, healthcare stakeholders and providers can now apply advanced analytics to all their data to obtain valuable insights and make informed decisions. For example, they’ll be able to develop more effective, personalized treatment plans that are tailored to their patients’ unique needs, and to power innovations that create new and long-term value,” said Mark Ablett, senior vice president and general manager for Asia Pacific at Hitachi Data Systems. Architected uniquely for healthcare IT environments, HCSC – Healthcare integrates data infrastructure and analytics technologies, medical solutions, mobile applications, data center facilities and communication networks to provide an end-to-end, all-inclusive information infrastructure. The solution is specifically designed to help healthcare organizations of all sizes handle information processing and management, and offers a pay-as-you-go model that requires no upfront capital investment to minimize the significant costs of acquiring, maintaining and upgrading medical applications. This means that organizations of all sizes—from regional facilities to community hospitals and local medical centers—can now afford to deploy a high-end data management infrastructure and enjoy the benefits of state-of-the-art analytics technology without the associated costs of hardware, software and project development. Large or community healthcare systems can opt to rollout their projects in phases and according to their specific goals and development needs to ensure better control of their finances and more effective resource allocation. “With HCSC – Healthcare, all data can be integrated, regardless of whether it is generated by proprietary applications, equipment, social media or new technologies. By opening themselves up to the full spectrum of analytic possibilities, healthcare organizations, practitioners and stakeholders can now analyze all their data on demand to achieve actionable insights, while streamlining data processing and IT operations. And they can enhance their services and even develop new tools to deliver faster, more intelligent and cost-efficient patient care,” said Ablett.